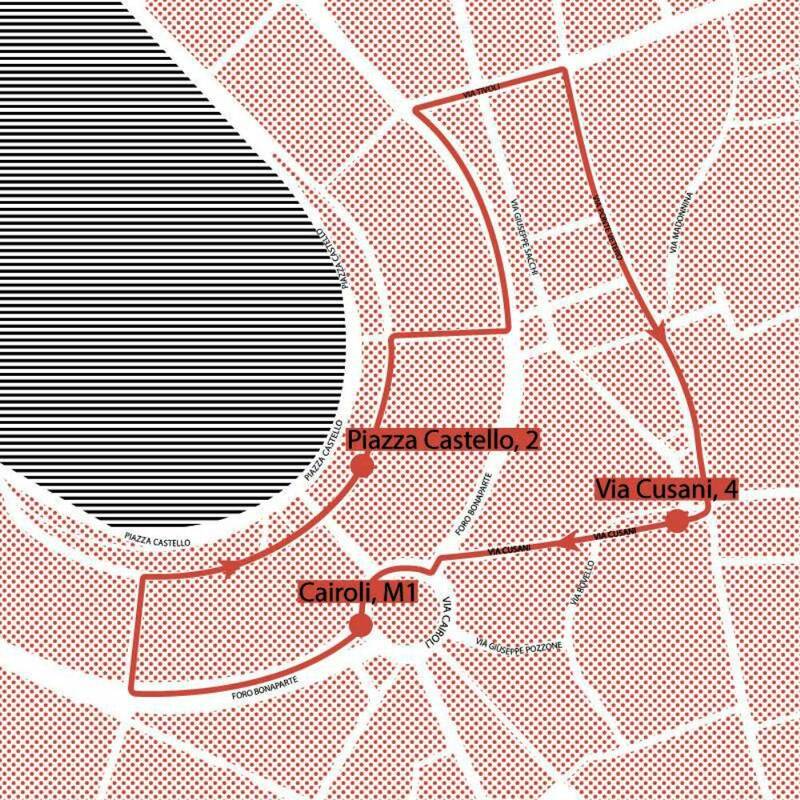 Milan and its city landscapes were the protagonists of this project. 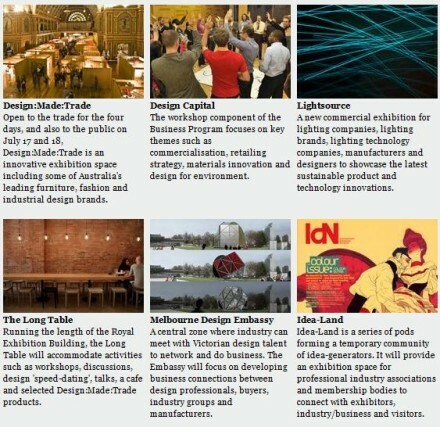 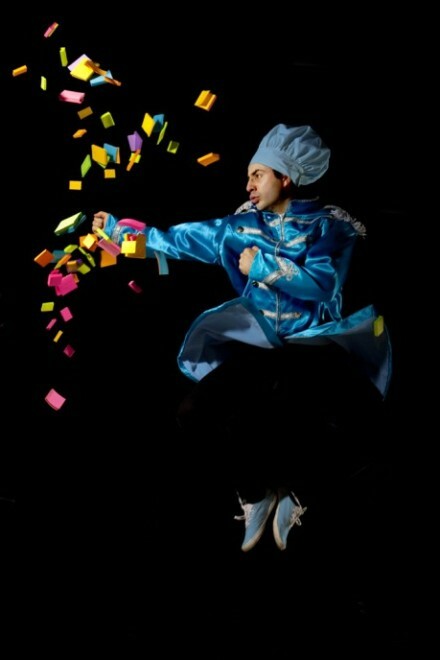 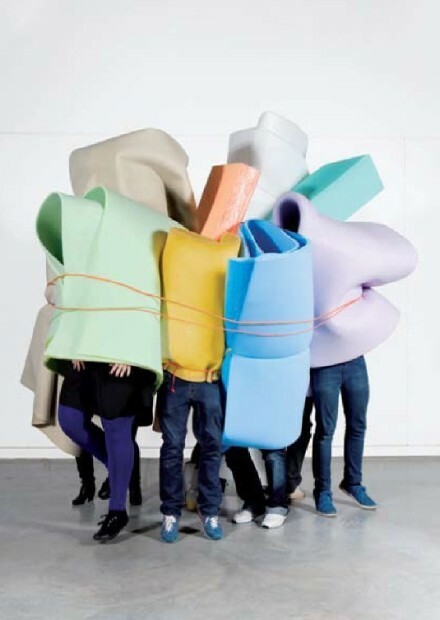 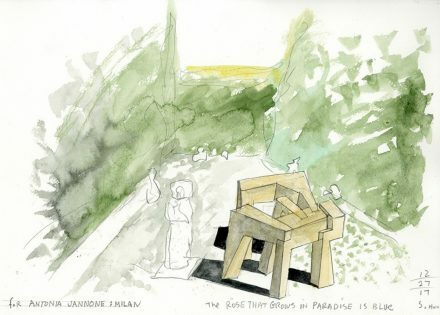 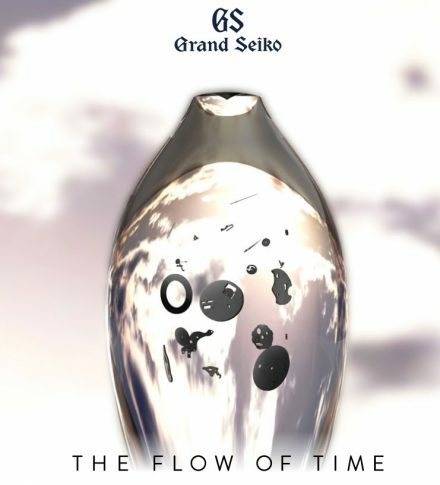 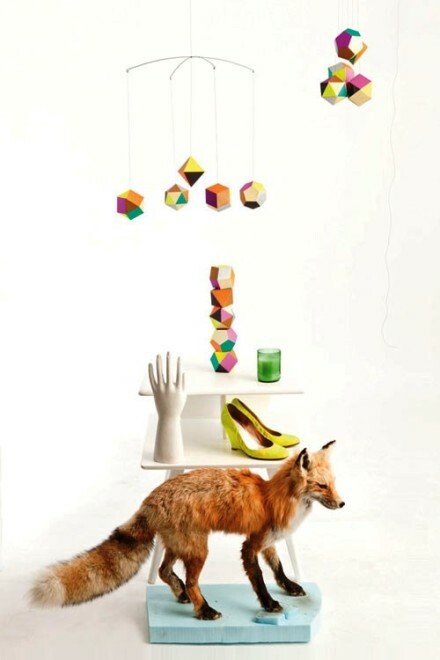 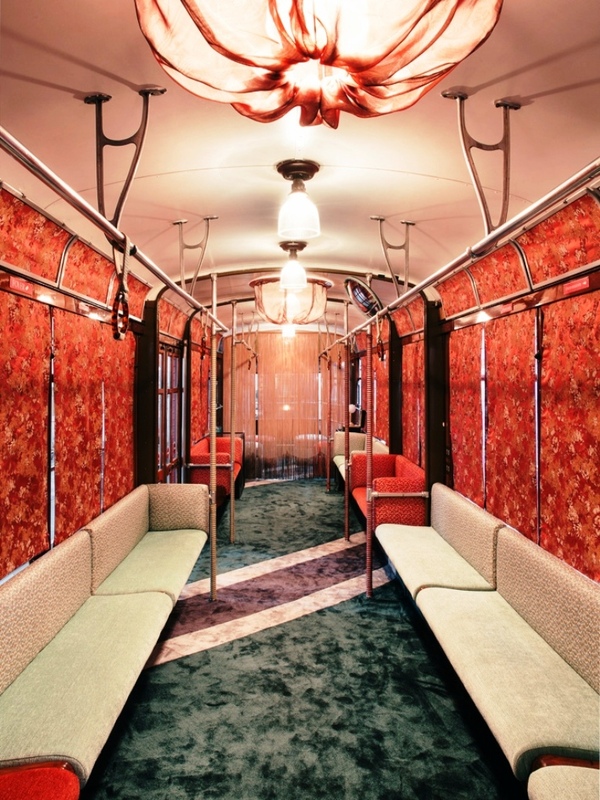 The CoralloTram project was inspired by the theme of travel, which the designer associates with a “mental state”. 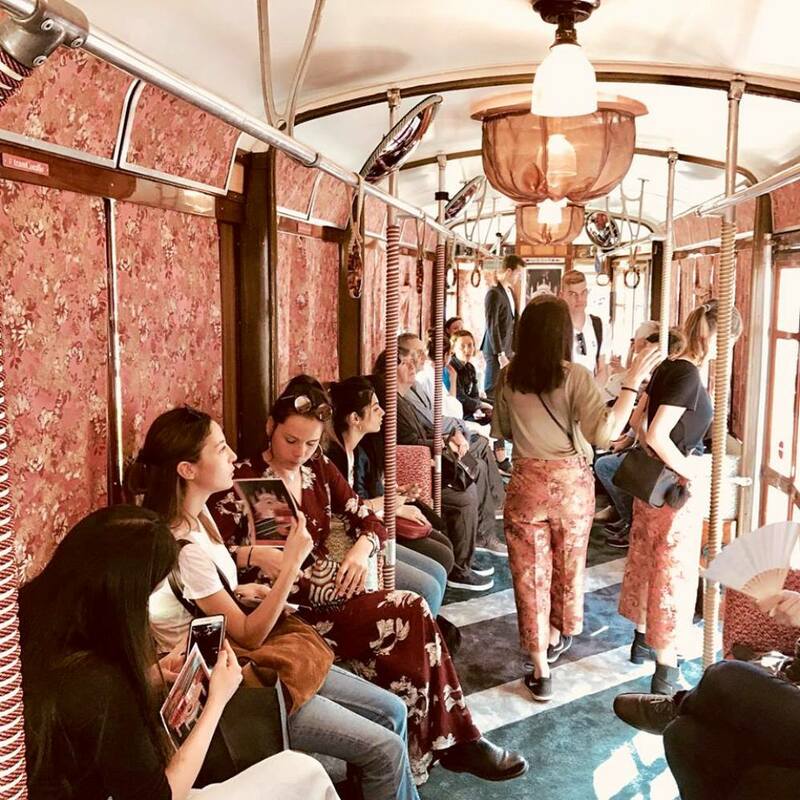 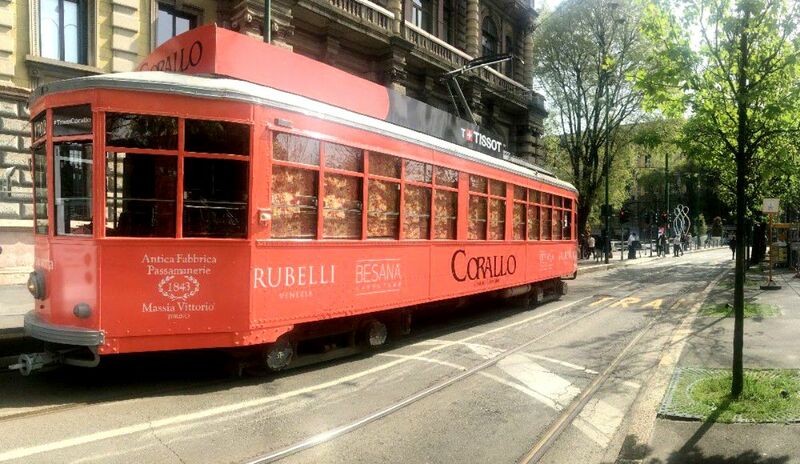 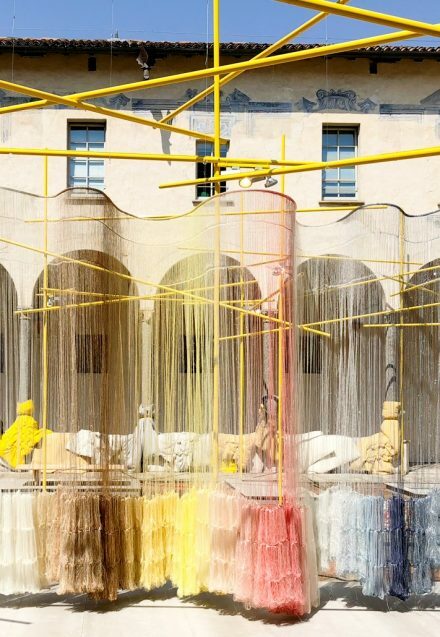 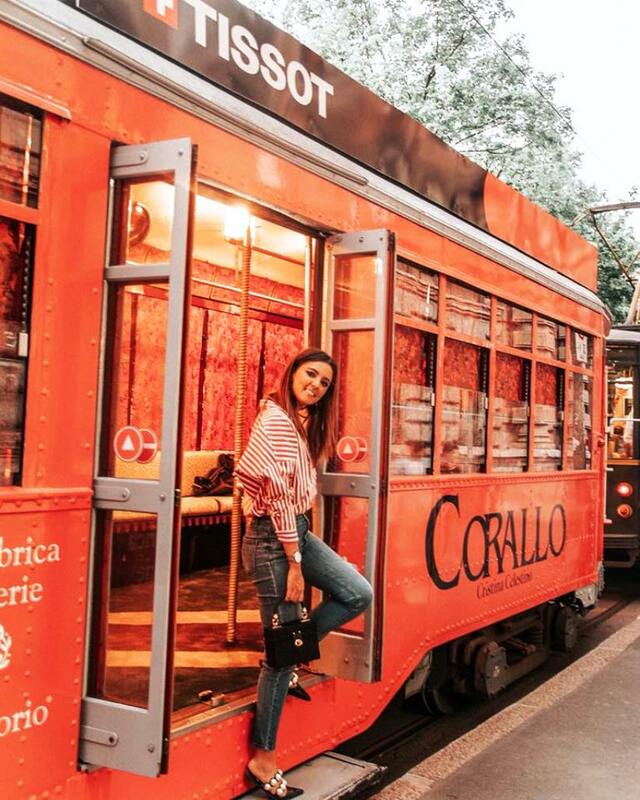 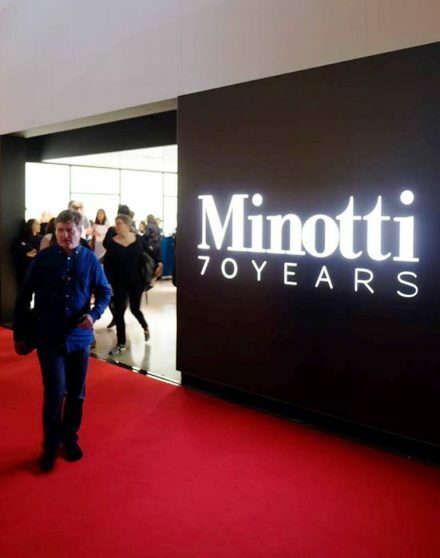 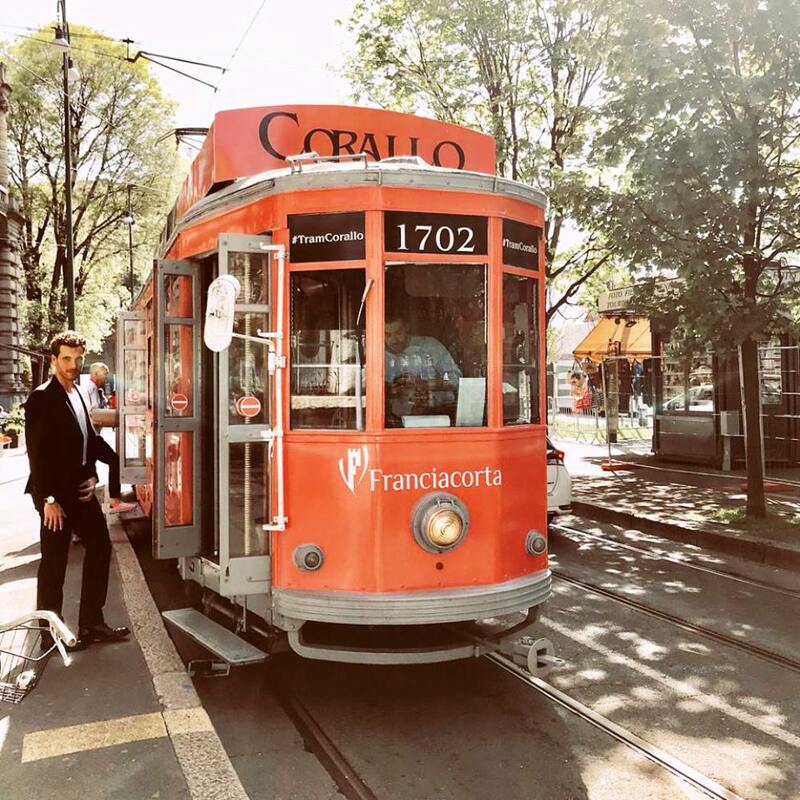 Throughout the duration of the Milan Design Week, the tram cruised through the city’s tracks in the afternoon time slots, within the Brera district. 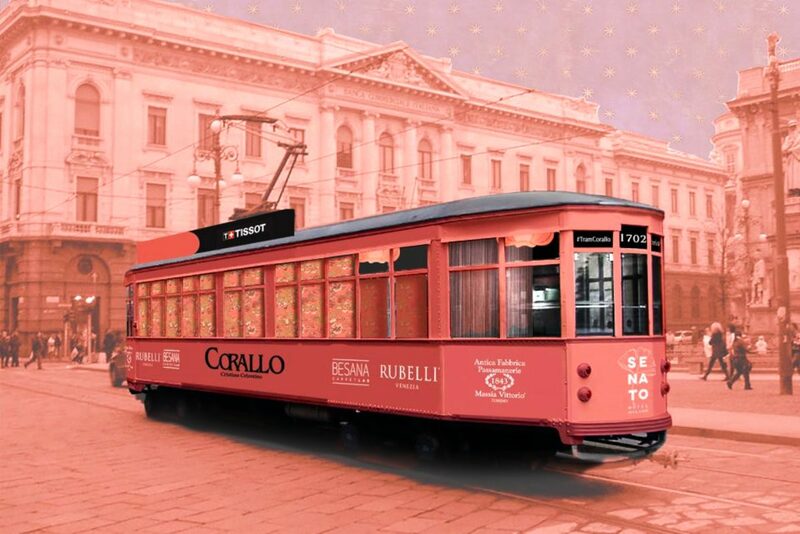 The tram stopped in – piazza Castello 2, via Cusani 4 and piazza Cairoli. 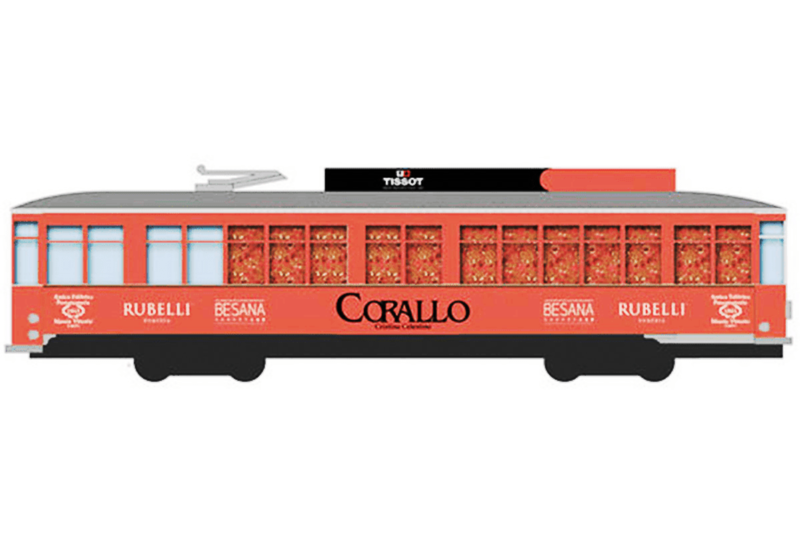 The internal environment of Tram Corallo had been divided into two areas: which reproduce two recurring moments in theatres and cinemas – a foyer waiting room and a screening room. 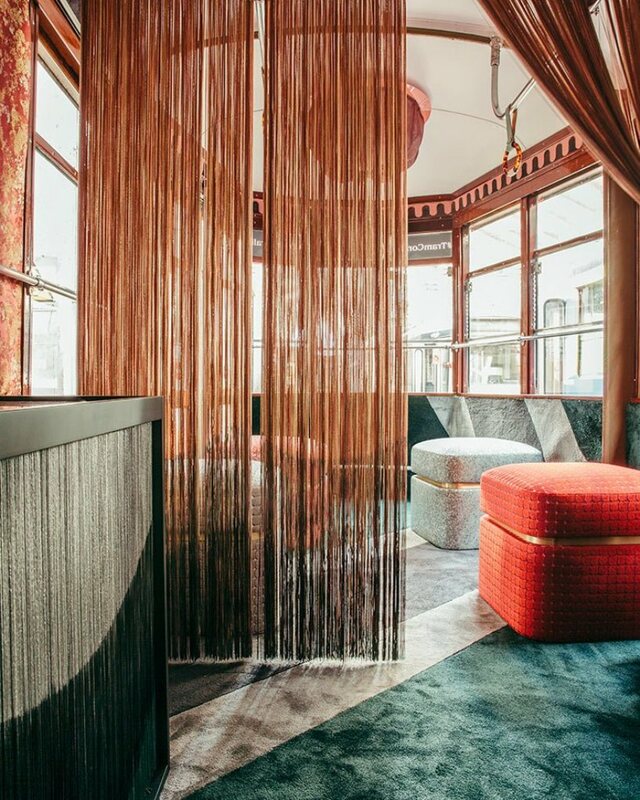 The foyer area, interpreted as a soft and padded waiting room, with composed and rigorous sofas, windows covered by Rubelli curtains visible from the outside, and Besana inlaid floor carpeting. 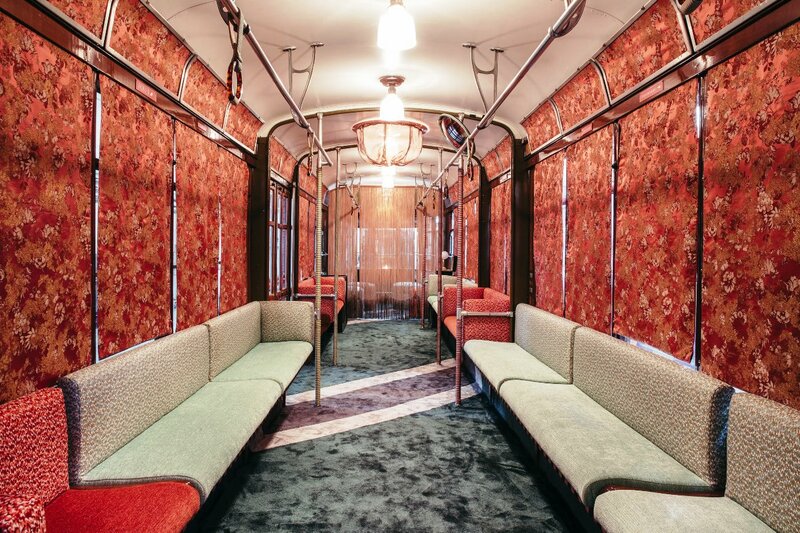 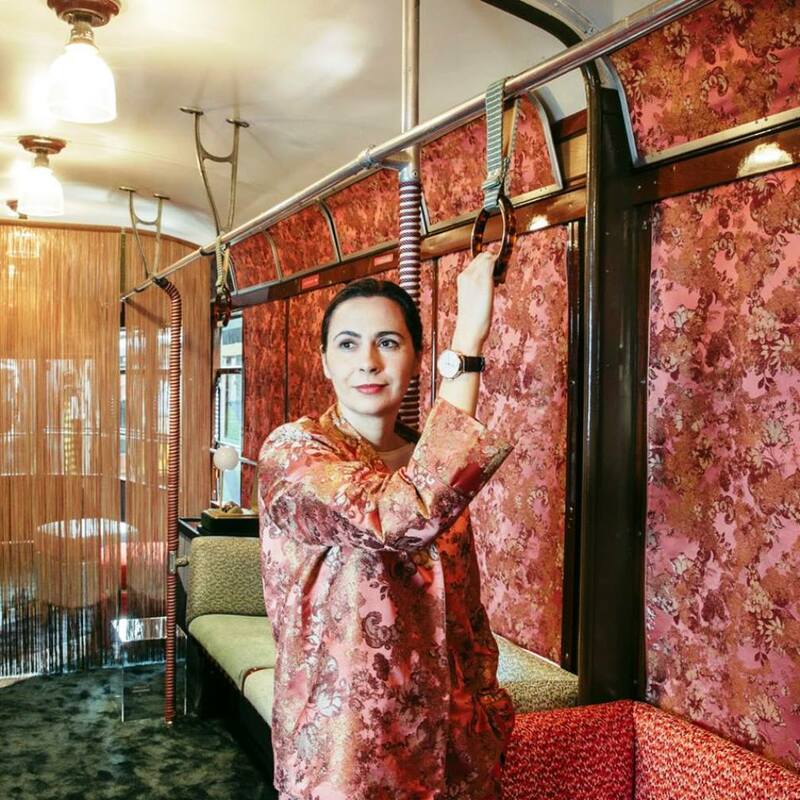 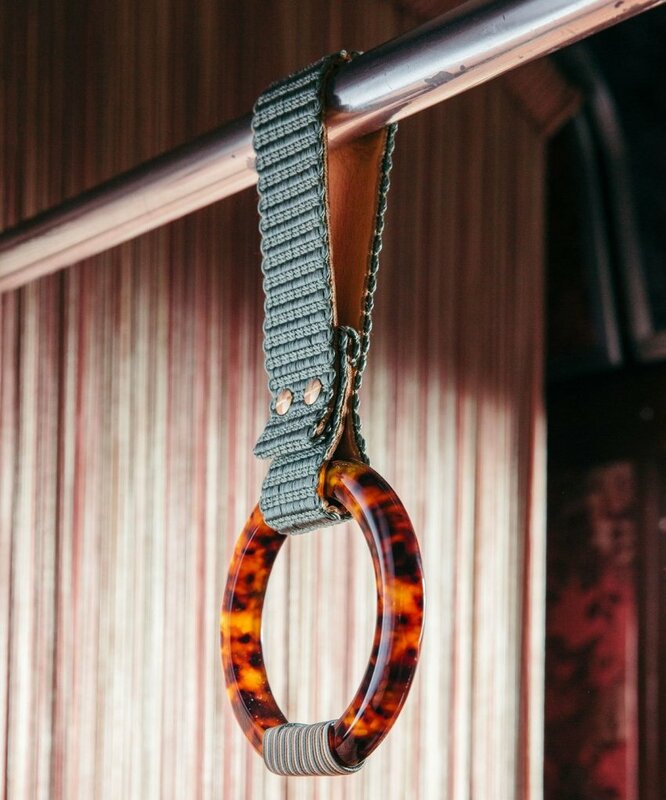 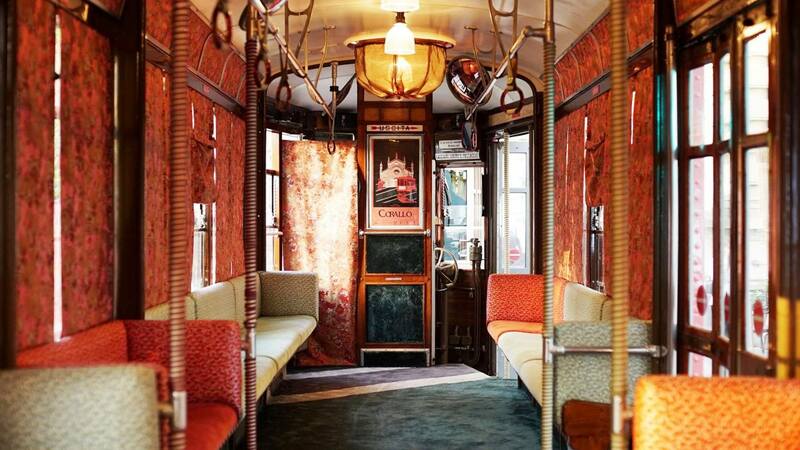 Passementerie features prominently, not just in delicate string curtains (in three tones of pink with the bottom segment dyed to match the greens of the carpet) separating the two spaces, but also wrapped around the metal poles of the tram, and even the driver’s convex mirrors are decoratively framed in coiled rope.. 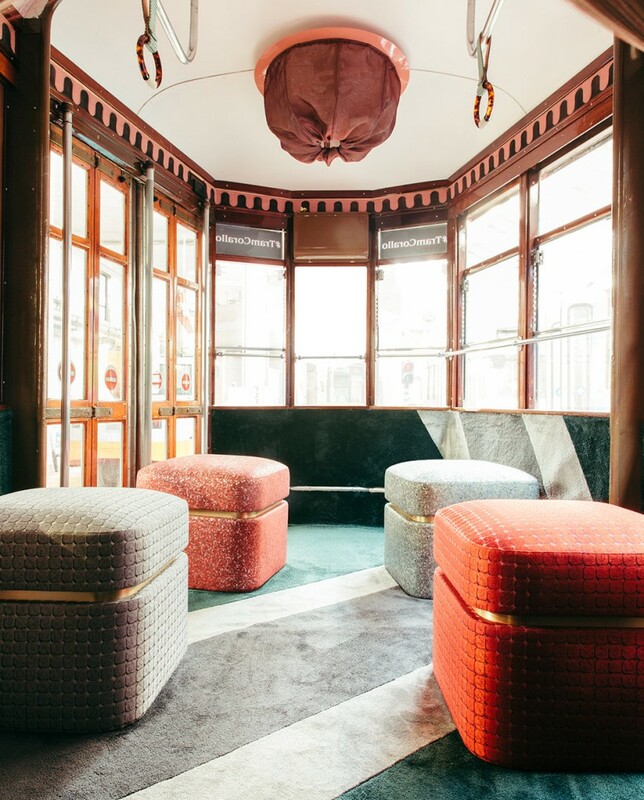 The foyer was furnished with bespoke banquette seating upholstered in a combination of jacquards and velvets in a typically uplifting Celestino palette of coral and aqua-green. 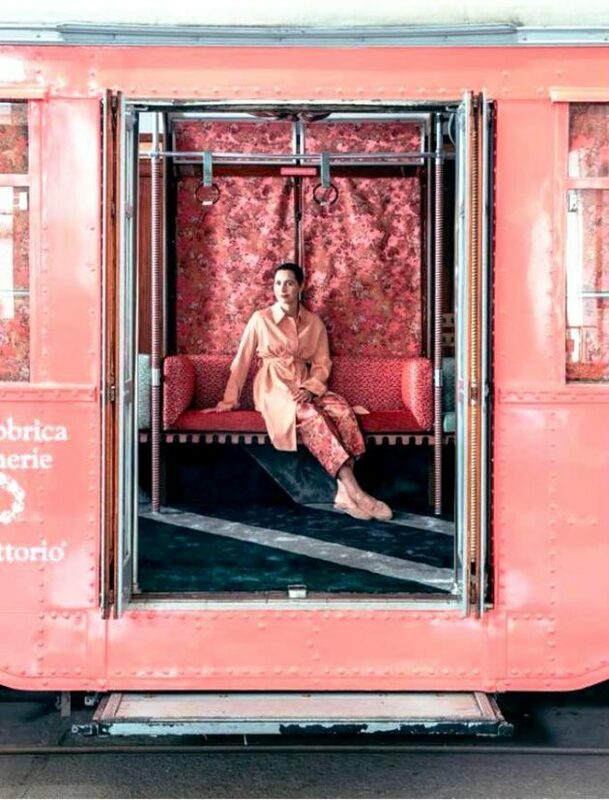 This space is totally enclosed by an abundance of coral-hued floral Rubelli ‘Goldfinger’ silk brocade drapes – which were also tailored into palazzo pants for the onboard team. 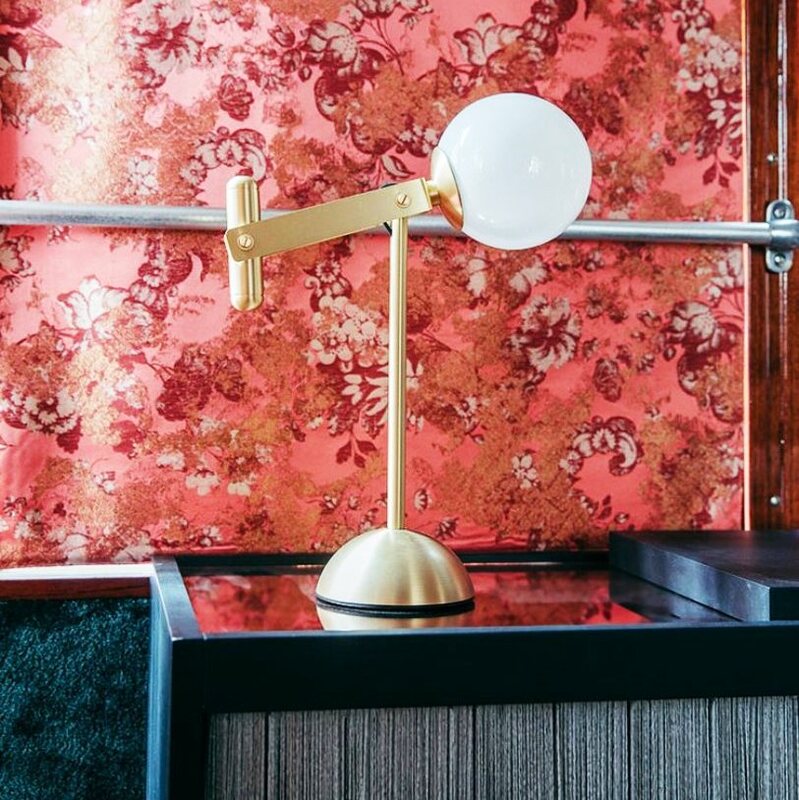 a brass and opalescent Murano glass table lamp, modelled on the ‘diminutive icon of elegance’ ­— the cufflink. 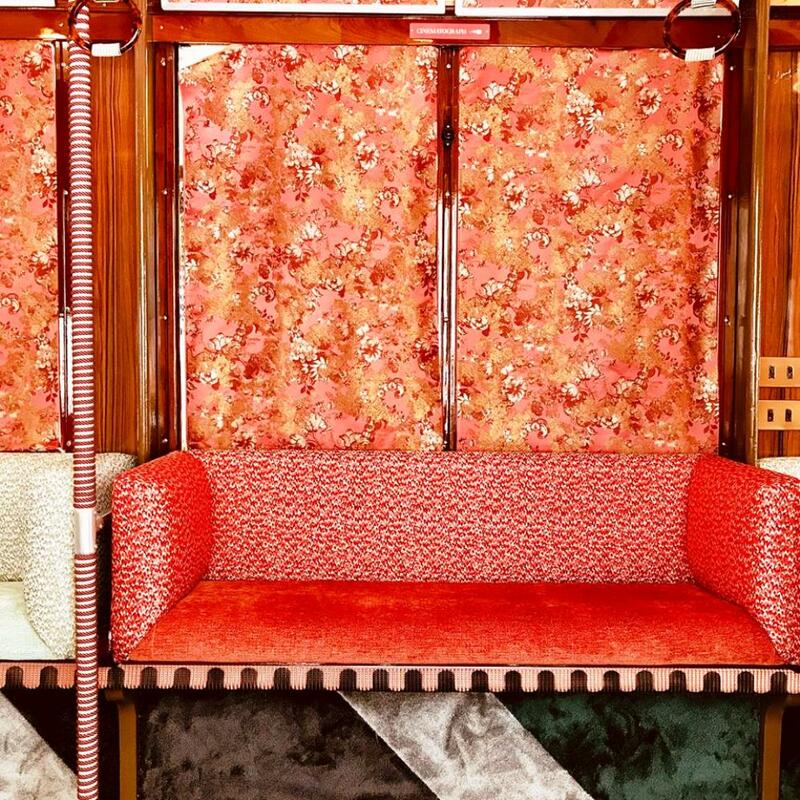 passementerie string curtains separating the foyer and screening room. 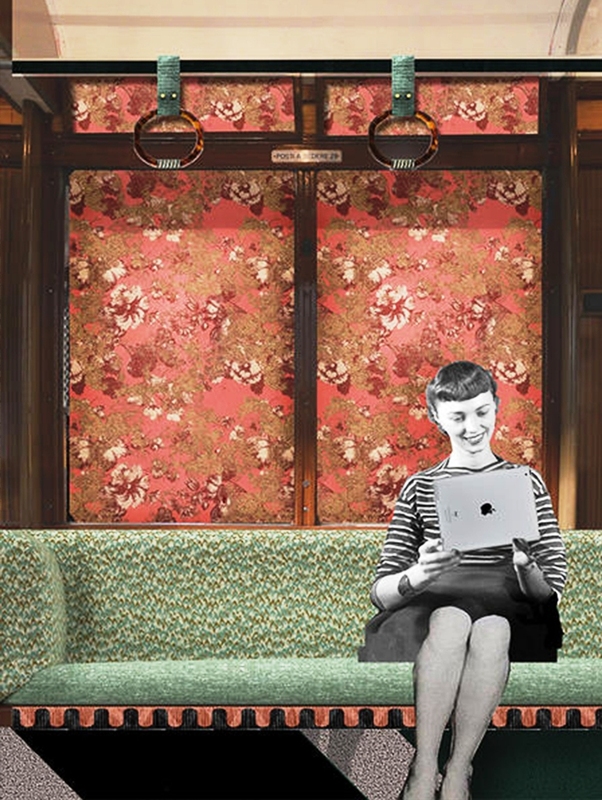 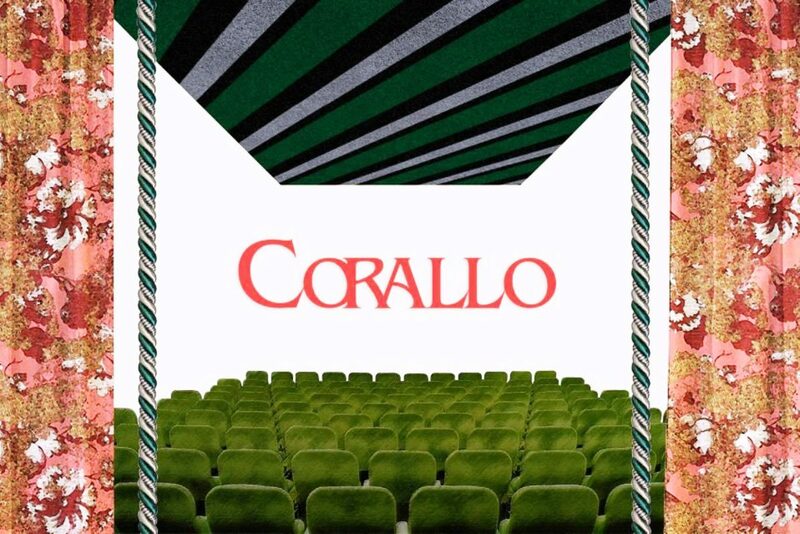 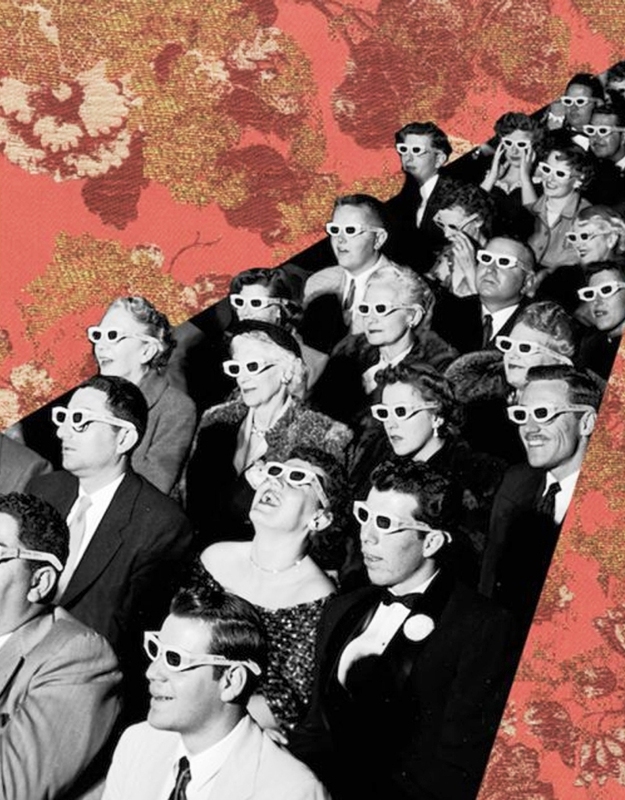 The rear part of the Corallo Tram, is the projection screening room, which was divided frpm the Foyer, by a lightweight curtain in trimmings, and housed a small cinema where passengers could enjoy a view of the city, comfortably seated on the poufs designed by Cristina Celestino. 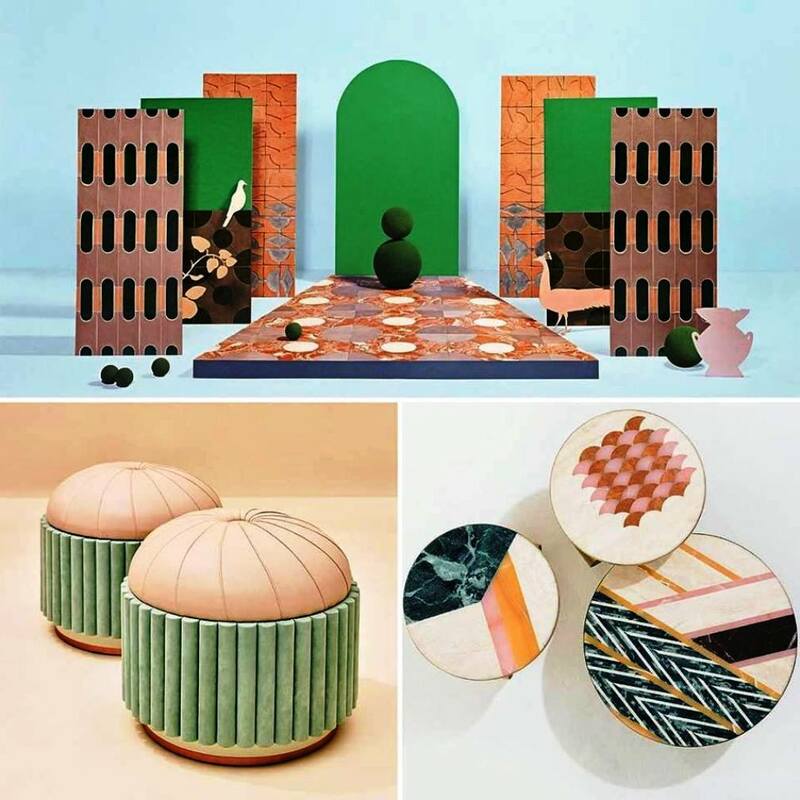 Celestino continues her playful reappropriation of jewellery typologies, originally debuted with Fendi as marbled-topped tables featuring brass bases echoing the butterfly backs of earrings. 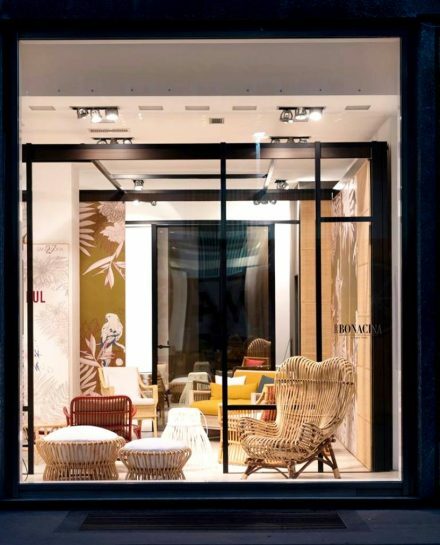 She rose to global prominence in 2015 when Fendi unveiled her pastel-pretty, Fifties-inspired Happy Room at Design Miami.